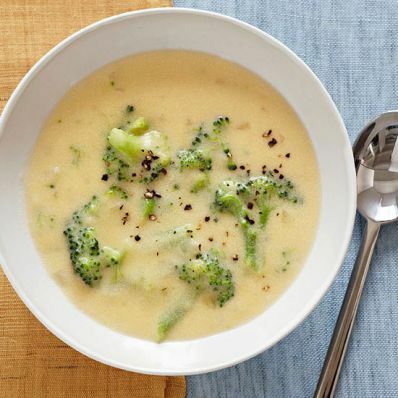 1 of 2 Combine broth, milk, broccoli, onion, pepper and 1 cup water in slow cooker bowl. Cover and cook on HIGH for 3 hours or LOW for 5 hours. 2 of 2 Whisk Velveeta into slow cooker until smooth. Sprinkle instant potatoes over soup and whisk to combine. Serve immediately.